PFL started as America's first ecommerce commercial printer, way back in 1999. Since then, we've grown into a marketing automation company developing innovative solutions for marketers and sales teams. Our main campus is located in Livingston, Montana, tucked into a snowcapped mountain valley. We are close to Yellowstone National Park, world class skiing, rock climbing and of course fishing. 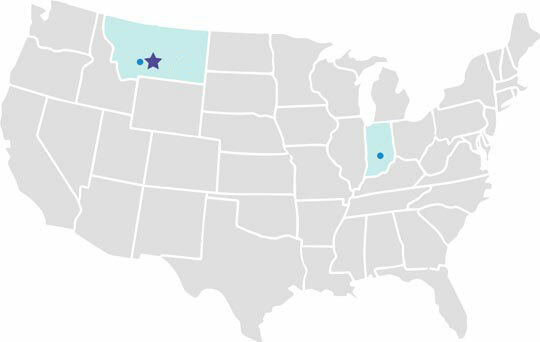 Additionally, we have offices in Bozeman MT, Billings MT, and Indianapolis IN. We're looking for talented, hard-working people that are passionate about helping customers succeed. It helps if you enjoy clean mountain air and dogs. We are still a printer delivering a top end experience. We are always growing, improving and innovating our printing business. Our software teams develop tools to help marketers and sales teams integrate direct mail, print and much more. Why You'd Love It Here. You won't give up a great salary just to enjoy the scenery. You'll have lots of opportunity to grow and plenty of problems to solve. We take professional growth seriously, we want you to be the best. too, so they get to come to work with you. Of course we offer full service healthcare and company matching 401K. Are you kidding? This is Montana.